Every commercial pool should have a pool cover. Whether you are trying to retain heat to reduce your power bill or simply need to reduce chemical and water bills, a commercial pool cover should be your first choice. 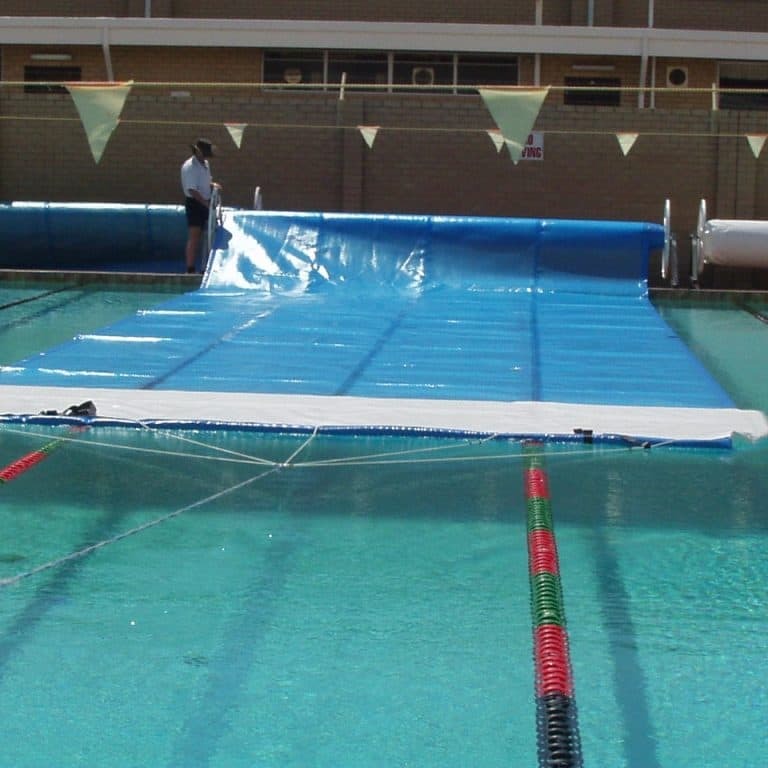 Commercial pool covers come with a range of options, generally commercial covers can be manufactured as wide as 7.0m and as long as required. If you have a special requirement please don’t hesitate to give us a call 1800 243 887 or contact us. 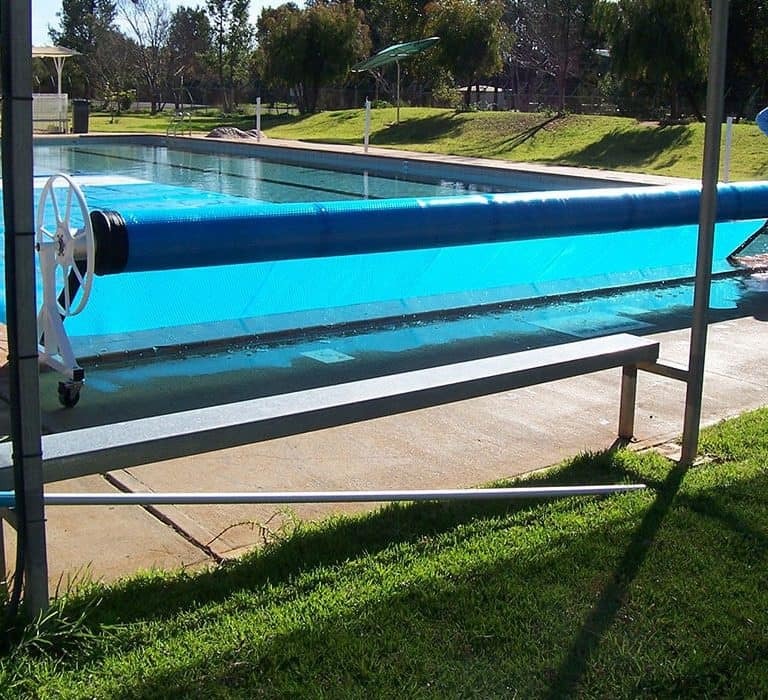 Most commercial pools will need 1-3 blankets because of the width. This doesn’t necessarily mean that you will need 1-3 rollers for your blankets, because all commercial pool blankets are custom made to order we have the ability to design blankets that are top and tail which means you can minimize the number of rollers and make a saving on expense and space.